Jon’s Locks is at the forefront of locksmithing and keyless-entry technology. Since our start in 2014, we’ve been consistently upgrading the tools and the skills we use to provide our neighbors in Warwick, RI, with the latest keyless ignitions, proximity fobs and smart key fob technology. Proximity fobs are discreet little devices that hang on your keychain and trigger your car’s smart keyless entry and keyless ignition to unlock or to start. What’s great about them is that they work by sending out faint radio signals that trip the locks without physical contact, so you can keep yours in a purse or a coat pocket and get in your car without having to insert a physical key. Of course, most key fobs have a backup key (emergency key) built into them that can be flipped out or pulled out in case the battery runs out. Most keyless ignition cars also have a push to start button so the vehicle doesn’t start up as soon as you sit down in it. Jon’s Locks has a lot of experience with key fobs. 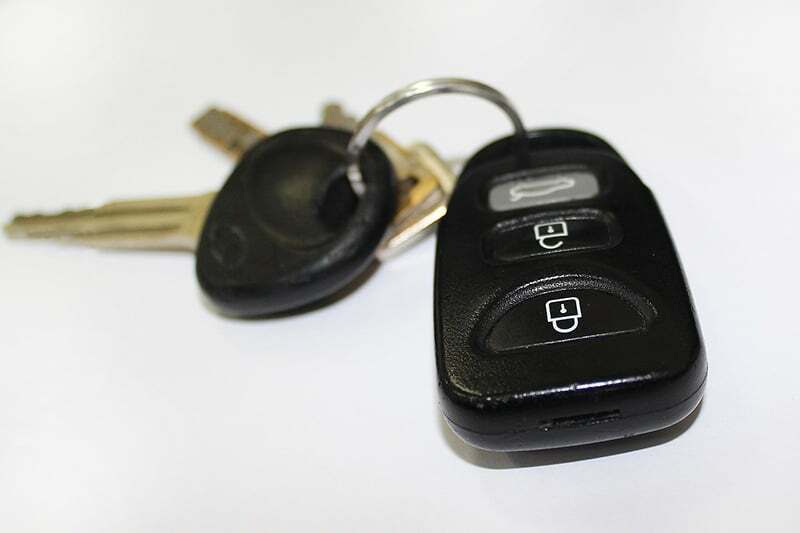 We can make new laser cut keys to replace lost or broken ones, reprogram a proximity fob to work with your car, and even set you up with a couple of spares in case you need them. We work with all vehicle makes and models, and it usually doesn’t take more than a few minutes to get your proximity fob programmed the way it needs to be. 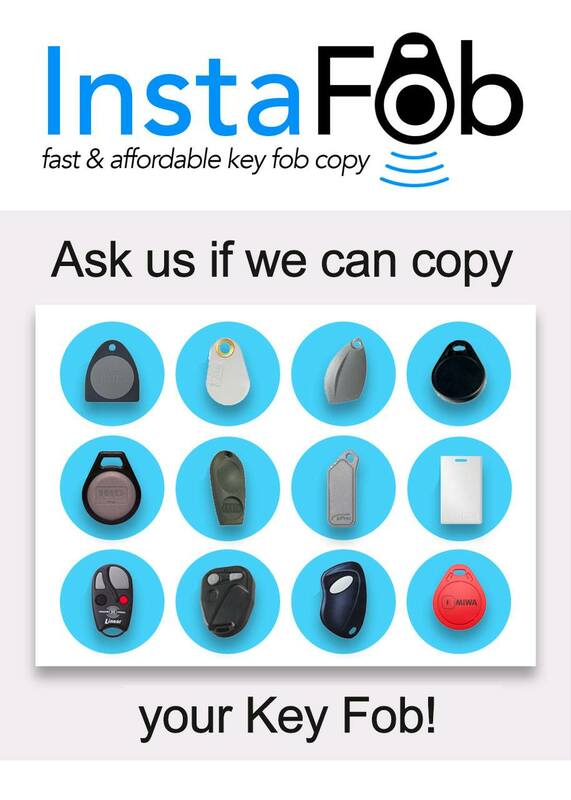 Need A Commercial Key Fob Copied? We now offer key fob programming for commercial and residential applications. It’s fast, affordable, and really simple. Visit our office to get your copy today. No mailing, no waiting, no hidden fees! Our company is more than just a local business, it’s part of the neighborhood. Since 2014, we’ve been doing business out of the same location, 2291 W Shore Road, in one of Warwick, RI’s quietest residential neighborhoods. We welcome visits from our customers, though it’s a good idea to call ahead and set an appointment, since Jon’s frequently out in the van making calls to customers’ locations. When you call Jon’s Locks for service, whether it’s at your home or office, or ours, you’re getting help from a neighbor you know you can trust. Our service is certified, bonded and insured, which gives peace of mind to residential customers and allows us to work with local businesses, which may have their own quality standards for the locksmiths they hire. We’re a veteran-owned business with years of experience in the area. Over the course of those years of service, we’ve worked with homeowners and small to medium-sized businesses in and around Warwick to install, fix and maintain their locks and keys. We work on everything from simple antique brass knobs to some of the most sophisticated keyless ignition systems out there today. If you have an issue with your car, whether it’s an emergency you need help with right away, or everything’s fine and you just think it’s a good idea to have an extra key fob made up, we’re here to help. Give us a call, set an appointment, or ask for us to head out to the parking lot you’re stuck in, and we’ll be as glad to see you as we are to take your call.